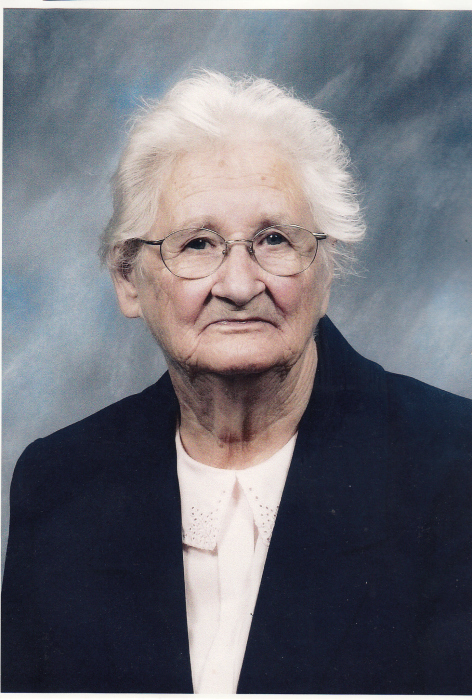 Surgoinsville: Grace Mitchell Johnson, age 97, of Surgoinsville was carried by angels to her heavenly home Thursday, March 14, 2019. Grace was a member of Amis Chapel United Methodist Church where she attended faithfully as long as she was able. Grace was preceded in death by her husband, Harold Carson Johnson; parents, Cleveland and Rosa Roberson Mitchell; sisters, Kate Holt, Mary Barrett, Thelma Calton and Carrie Mitchell; brothers, Henry Mitchell, George Mitchell, Clarence Mitchell and Charles Mitchell..
Left behind to grieve her passing are two sisters, Hazel Barton of Surgoinsville and Maude Christian of Moreno, CA; a number of nieces, nephews and a host of friends. The family wishes to express special thanks to Church Hill Health Care and Rehabilition for their kind and loving care that was given to Grace..
Visitation hours will be 12:00 Noon to 2:00 P.M. Friday, March 22, 2019 at Broome Funeral Home, Rogersville. Funeral service will be conducted at 2:00 P.M. in the funeral home chapel with Rev. Mike Cutshaw and Rev. Greg Fletcher officiating. Burial will follow in the Armstrong Cemetery. Broome Funeral Home, Rogersville is honored to serve the Johnson family.